What Causes Cavities and How to Avoid Getting Them? Getting a cavity is no treat. And getting them filled can potentially be costly and a little uncomfortable. Even though you know that you want to avoid them, you may not know exactly what causes cavities. What if you already have a cavity? Dakota Dental can give you peace of mind about the procedure and help you identify which cavity fillings are the right choice for you. Simply put, cavities are caused by tooth decay. Bacteria in our mouths feed off of the food particles that get stuck in our teeth, especially sugary foods and carbohydrates like soda, candy, bread, and cereal. The bacteria break these foods down into acids, which combines with the saliva in your mouth to form plaque that clings to your teeth. When the acids sit on teeth they can dissolve the enamel – leading to cavities. 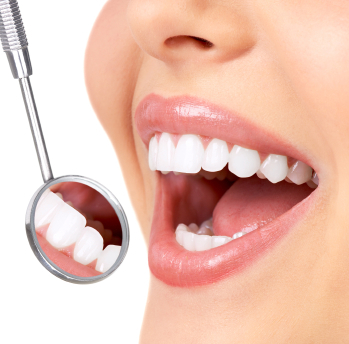 There are several different types of cavity fillings. Amalgam fillings, or silver fillings, are a less expensive option and are very durable, but since they are darker in color, they aren’t typically used to fill cavities in visible areas. Gold fillings are extremely durable and can last over 20 years, but are one of the most expensive filling options since they are made-to-order in a lab. Porcelain fillings are also made-to-order and are tooth-colored fillings, making them a good choice for front teeth. Resin bonded composite fillings are the standard in the industry since they match the color of your teeth well, rarely chip, and provide a very strong seal around the drilled tooth. However, these types of fillings may not last as long as a filling comprised of gold. Talking with the family dentists at Dakota Dental can help you determine which of their no-fuss fillings will be best for you. Dakota Dental will also talk with patients about taking care of their teeth and strategies to avoid future cavities.